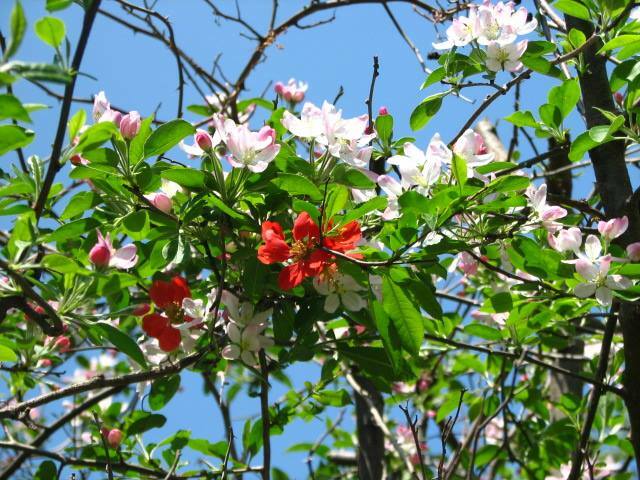 the quince, apple and crab apple trees are now in blossom and they joyfully fill the air with heavenly scent. Jenny Wren also seems to be quite busy this morning, ‘open house day’ possibly, as she has now visited several nesting houses, looking for just the right one, and chatting loudly to a possible suitor. and here she is, in all her precious beauty Celandine Wood Poppy blessing her little spot under the tree. and the laundry awaits my attention ..